This electronics report profiles the developments in Advanced Process Control market. The global Advanced Process Control industry is influenced today by increased demand in emerging markets and widening applications. On the other hand, intensifying competition coupled with introduction of new and innovative products by companies continue to challenge existing market players. 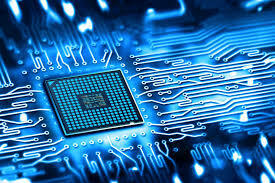 The 2019 Global Advanced Process Control market analysis and outlook report captures global electronics related innovations and industry developments. The report focuses primarily on emergence of Advanced Process Control market across different applications and end user segments. A detailed strategic analysis review of Advanced Process Control is provided to enable users to understand the drivers, restraints and key trends in the industry. Further, the section also analyzes the buyer power, supplier power, competition, threat of new entrants and substitutes and ranks the industry attractiveness. In terms of market revenues, the comprehensive report provides reliable forecasts of global Advanced Process Control market value on an annual basis from 2018 to 2025. Based on demand, prices and products in the market, the market growth outlook is presented to ensure actionable insights. Key strategies of leading companies, insights on how companies are adapting to new market dynamics are provided in the report. Company-to-Company and Product-to-Product comparisons are provided in the research report. The report also profiles five leading Advanced Process Control companies including their SWOT and financial analysis. The scope of the report spans across the world including five regions and ten largest countries in terms of Advanced Process Control market value. For each region, the market value is forecast by type, application and country to 2025. Impact of price fluctuations and macro, micro factors affecting the prices of Advanced Process Control across different applications have been analyzed in the premium work. - Evaluate all major business growth opportunities through reliable outlook of different types of Advanced Process Control applications, countries and end user segments.